Granny looks like "and it's all for you" hehehe great work ! Xd Granny looks like "and it's all for you" hehehe great work ! Buff Granny rockets this to new stratospheres of hilarious and amazing. You're like an artistic Tarkus- so unexpectedly great in all the best ways. idk who is funnier, Apple Bloom or Granny Smith. 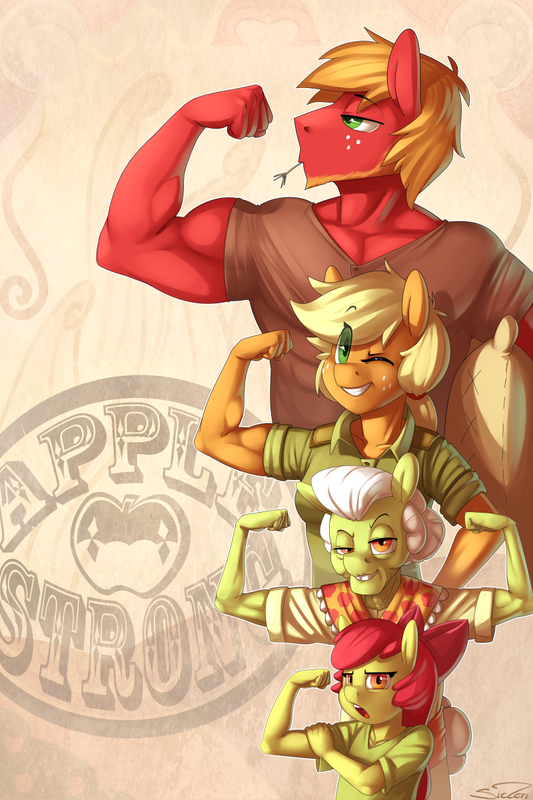 this is awesome XD idk who is funnier, Apple Bloom or Granny Smith. GS still has the muscles after all those years!